Beautiful, deep, removable laundry hampers that come in 12”, 15” and 18” widths. Configured with two specifically sized hampers allowing for easy laundry sorting. 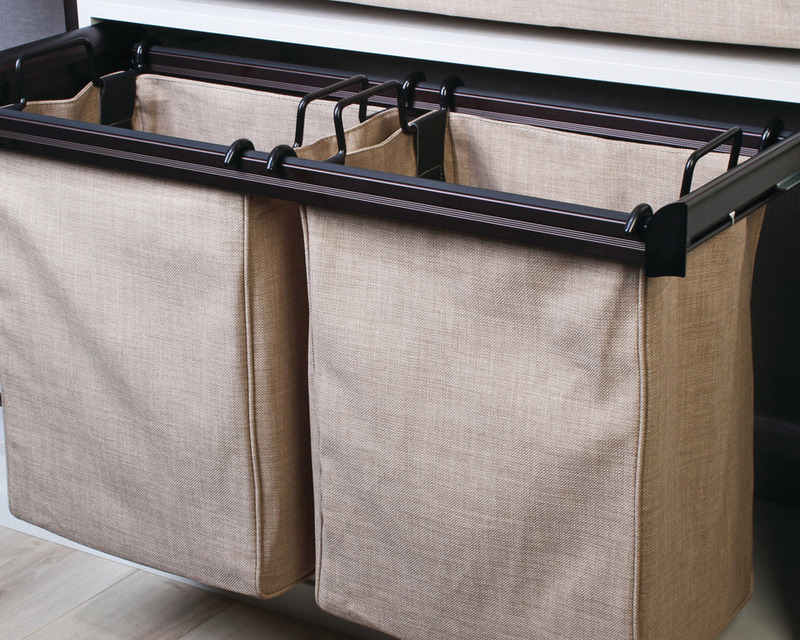 Hampers are simple to remove and carry to the laundry room with one hand. 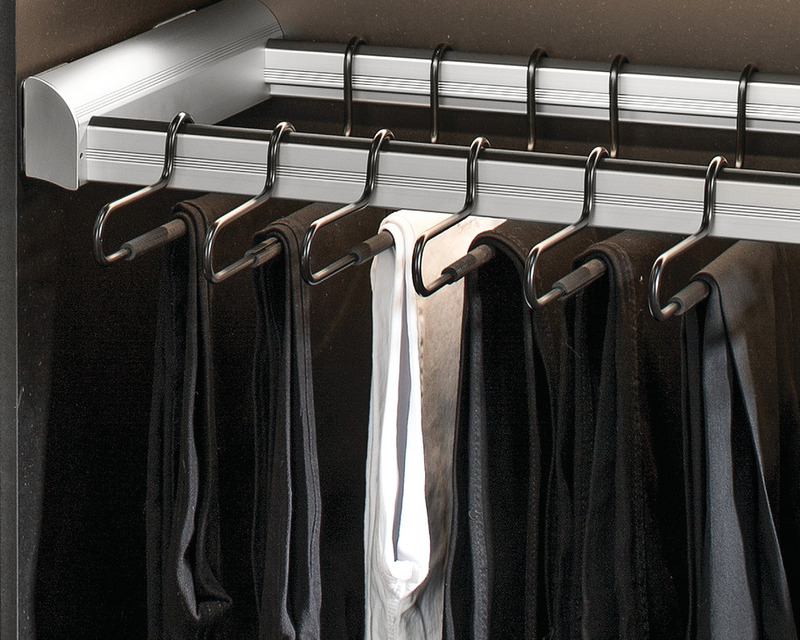 Plastic strips allow the pant hangers to glide effortlessly. 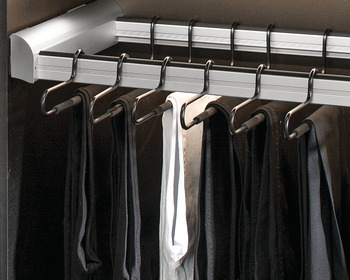 Uses the same hangers as the existing Synergy pant rack. 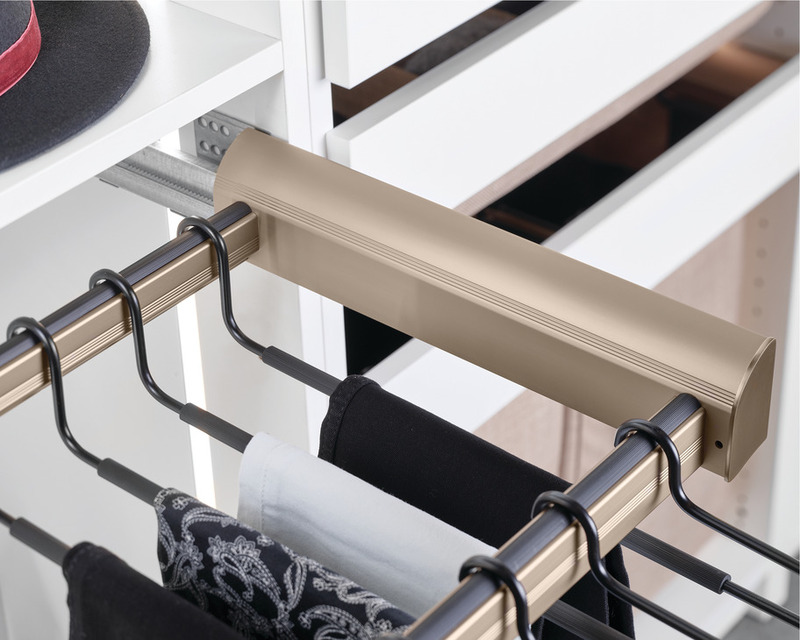 Garment clips can be added for hanging skirts or pants by the cuff.